1. 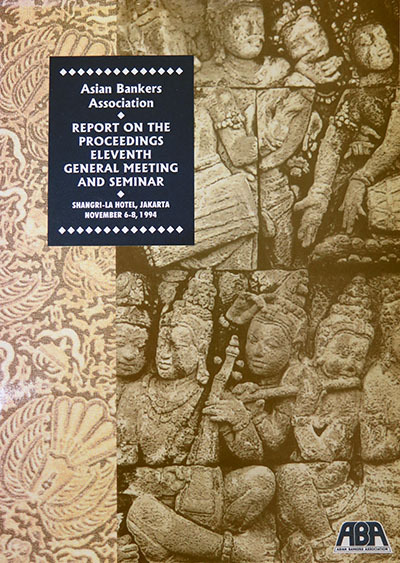 Some 180 bankers from 18 countries attended the 11th General Meeting and Seminar of the Asian Bankers Association (ABA) held in Jakarta, Indonesia on November 6-8, 1994. 2. 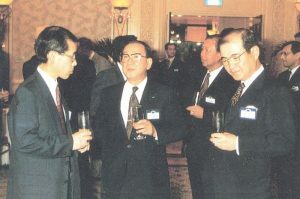 Focusing on the theme “Global Economic Transformation: Impact on Asian Financial Markets,” the seminar, held on November 7, 1994, discussed current global forces affecting business, trade, investment climate, and financial markets of the region. Prominent personalities from the international financial and business sectors were invited as speakers. 3. On behalf of the Indonesian government, Mar’ie Mohammad, Minister of Finance of the Republic of Indonesia, welcomed the delegates. Mohammad spoke of financial globalization, restrictions on financial systems, and the Indonesian financial system. 4. Mochtar Riady, Chairman of the Asian Bankers Association, delivered the opening remarks and chairman’s report. In his opening remarks, Riady said the seminar was an ideal opportunity for exploring the global economic trends impacting the region and extrapolating them into the future. He also gave a brief report on the various activities of ASA for the current year, particularly with regard to its membership drive, its country familiarization pro­ gram, its professional development program, and its relationship with other international organizations. 5. Soedradjad Djiwandono, Governor of Bank Indonesia, did a commentary on the theme of the seminar. He spoke of globalization in the financial sector and its substantial impact on economic, social, and political developments. 6. The First Plenary Session featured four speakers who shared their views on various aspects of the seminar theme. Seizaburo Sato, Research Director of the Institute for Inter­ national Policy Studies, spoke about the role of a rebounding Japan in the world economy. Byung-Ho Hwang, Deputy Governor of The Korea Development Bank, spoke on the new role of Korean banks in East Asia and the Pacific area. Mari Elka Pangestu, Director of the Center for Strategic and International Studies, provided an Indonesian perspective on the ASEAN Free Trade Area (AFTA). Robert L. Barry, U.S. Ambassador to Indonesia, gave his thoughts on NAFTA and its implications to the banking community. 7. The three speakers at the Second Plenary Session discussed business opportunities in the region. 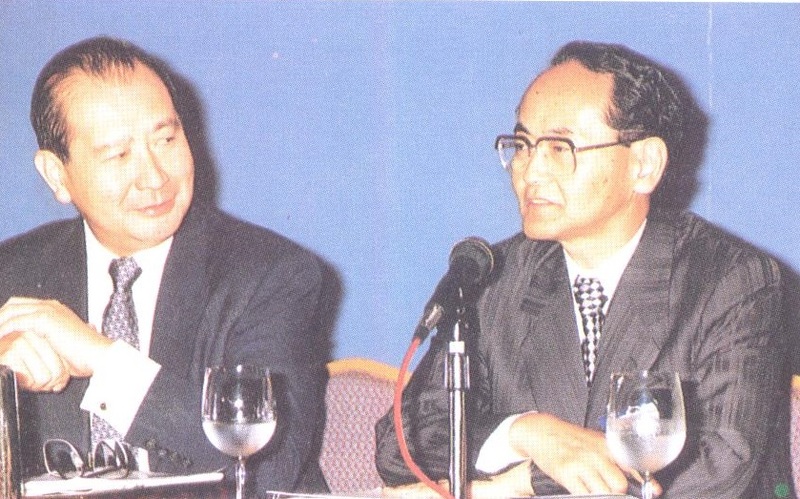 Sam Rainsy, Minister of Finance and Economics of Cambodia, talked about possibilities of forging alliances in his country, while Alain Chaillet of the Banque Nationale de Paris identified business potentials in Vietnam. Louis Clinton, Vice Chairman, P.T. 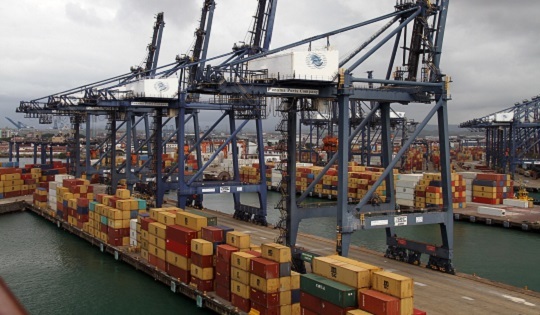 Free­ port Indonesia Company, spoke on investment opportunities for multinationals in Southeast Asia. 8. Gracing the meeting as luncheon speaker was Ambassador Linda Tsao Yang, U.S. Executive Director of the Asian Development Bank, who talked about the challenges and opportunities faced by bankers on the run-up to the year 2000. 9. Richard V. Allen, Former U.S. National Security Adviser, was the keynote speaker during the gala dinner. He spoke on the changing realities and U.S. policy in Asia. 10. Aside from the seminar, the 1992-1994 ABA Board of Directors held their 19th Board Meeting on November 6, 1994 to review the activities of the Association during the past year and to discuss and decide on certain internal matters. Elections of officers and Board Members for the 1994-1996 term were subsequently conducted at the 20th Board Meeting on November 7, 1994. 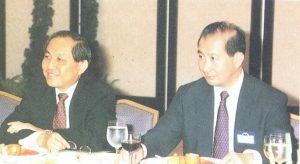 Assuming the chairmanship was Dr. David K. P. Li, Director and Chief Executive of Bank of East Asia, Ltd. and former ABA Vice Chairman. Arsenio Bartolome Ill, President and CEO of Philippine National Bank, was elected Vice Chairman. The new Board later met to discuss a work program for the next term. They also decided that the 12th General Meeting and Seminar will be held in Manila in November 1995. 11. The closing ceremony was marked by the valedictory speech of the outgoing chair­ man, the formal installation of the new officers, and the acceptance speech of the new chairman. In his valedictory speech, Dr. Riady expressed optimism for the ABA in being a more effective institution to achieve the goals of the Asian and Australasian financial sectors. For his part, incoming Chairman Dr. Li said he hopes to make a meaningful contribution to ABA during his two-year incumbency and solicited the support of everyone. 12. Former U.S. Secretary of State and National Security Advisor Dr. Henry A. Kissinger was the keynote speaker during the closing ceremony on November 8, 1995. Dr. Kissinger spoke about political changes that affect America and its relation to Asia as well as U.S.-Asian foreign policy. A question and answer session followed after Dr. Kissinger’s ad­dress. 13. Dr. Amnuay Viravan, Founder of Leadership for Thailand Party, Former Deputy Prime Minister of the Kingdom of Thailand, and former ABA Chairman was the luncheon keynote speaker at the closing luncheon. Dr. Viravan talked about APEC and its impact on the Asian financial community.